Michelle was 18 months old when she was brought into the clinic by her parents as they suspected she had malaria. They were right. Esther, one of our nurses, was also very concerned that she seemed extremely underweight and wasn’t yet walking. Esther spoke to one of the Community Health Workers (CHWs) who confirmed that Michelle’s family was destitute and so she decided to visit them at their home. The father was unemployed and they had no success in growing any crops. Consequently the food that they managed to scrape together was of poor nutritional value and very scarce. 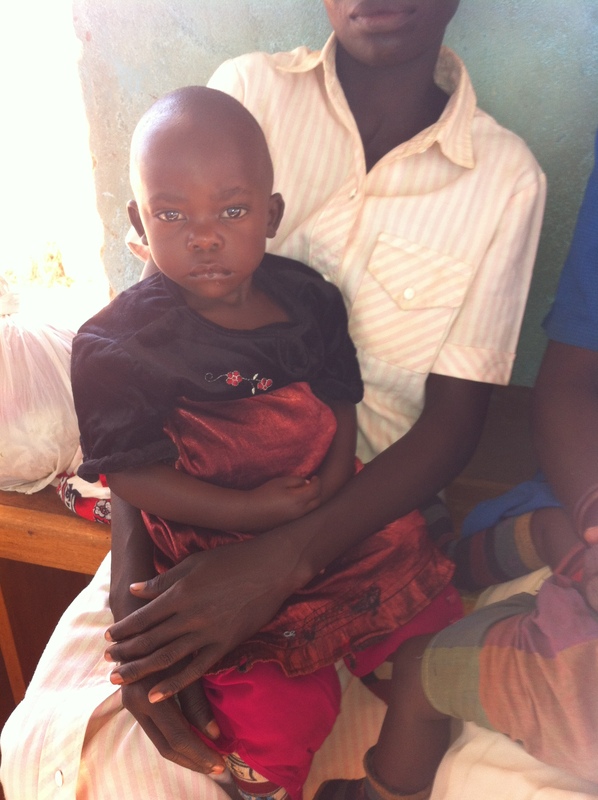 Esther also noticed that there were more and more children coming to the clinic showing signs of malnutrition. This was more than likely due to problems with drought followed by seasons of torrential downpours that washed any new seeds out of the ground. Esther decided to start an outreach programme with the CHWs. The clinic purchased sacks of beans and each week they would give enough beans to the family for the malnourished child. They would return to the clinic weekly for weighing and if the child started to gain weight then more beans would be given. In Kenya there are two planting seasons so when the planting seasons came around the families were supported in planting the beans. Esther’s initiative has had a huge positive impact on the health of vulnerable children including Michelle who has since recovered from malaria and whose weight and health has greatly improved.